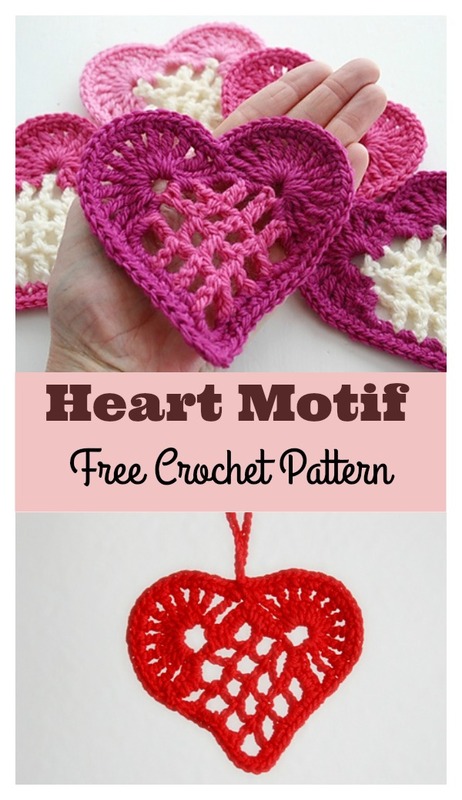 We have featured some heart shape crochet patterns before, but this Heart Motif Free Crochet Pattern looks extra special. It has such a lovely heart shape. A beautiful and simple heart motif makes for a coaster set or a sweet garland. They can be incorporated into placemats too. They don’t need to be used only for Valentines, they would be adorable in a child’s room or a cozy little nook. The hanging chain is awesome too. The instructions on how to make it are included in the pattern.Thanks Susan Carlson and Crochet Tea Party for sharing the wonderful free crochet patterns.The links for the free patterns are provided below photos. Happy crocheting. 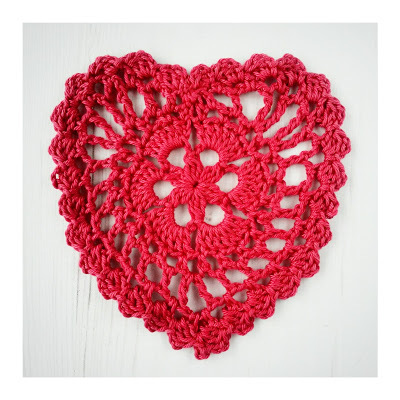 You might also like Crochet Heart Stitch Free Patterns.